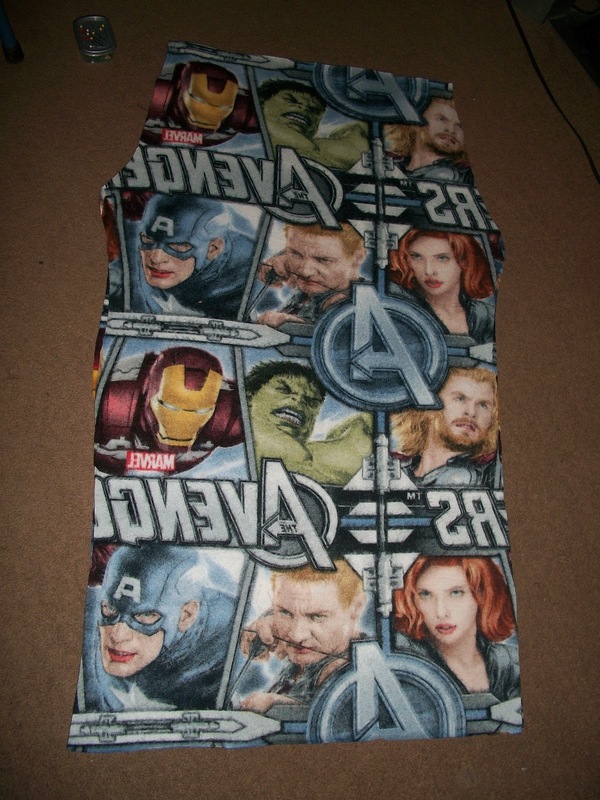 I have no idea how to use a sewing machine, but I had this fabulous Marvel's Avengers fleece fabric I had bought (it's discontinued and I purchased my yardage on eBay for a ridiculous price) over a year ago. I had considered using it to make a no-sew blanket or a simple throw pillow, but I recently found this tutorial on Pinterest and knew I had found my project! Use current pajama pants and paper to make a pattern. 1. 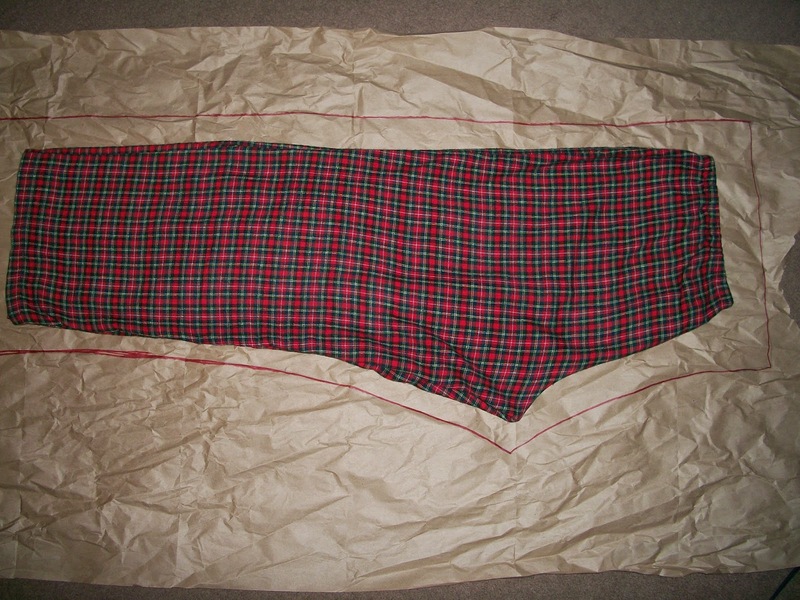 I used a pair of flannel pajama pants to create the pattern as instructed in the tutorial. I had saved some packing paper from some packages I had received, and used some to make the pattern. 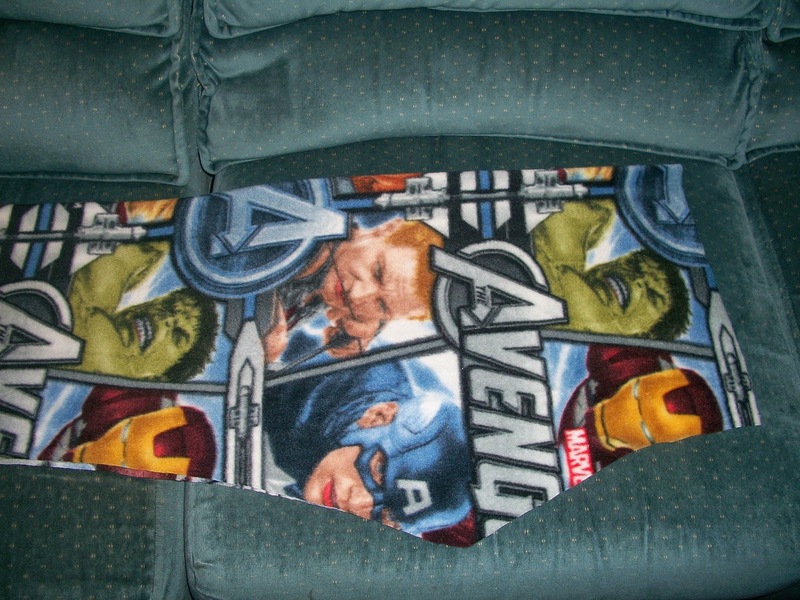 The pants I used are a little snug so I made the pattern about 1" around to make the fleece pants roomier. 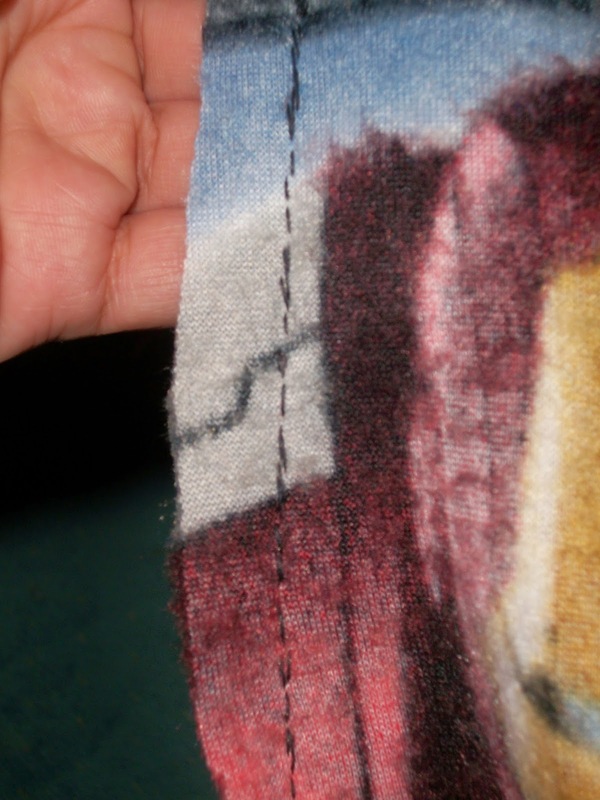 Otherwise, use the standard 1/4" seam allowance, plus extra for the hem at the legs. Cut the paper pattern out. Pattern on top of the folded fabric. 2. 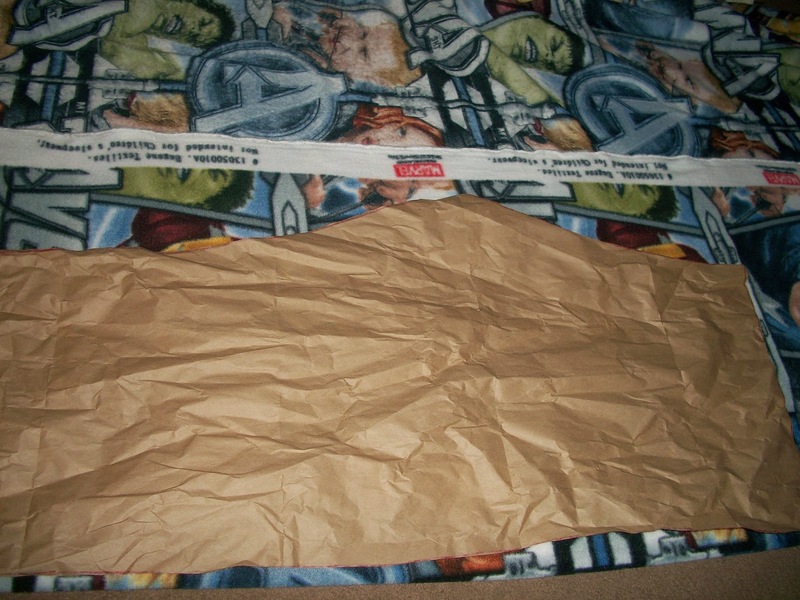 Fold the fabric over and place the pattern paper with the straight side along the fold. Then cut along the paper. 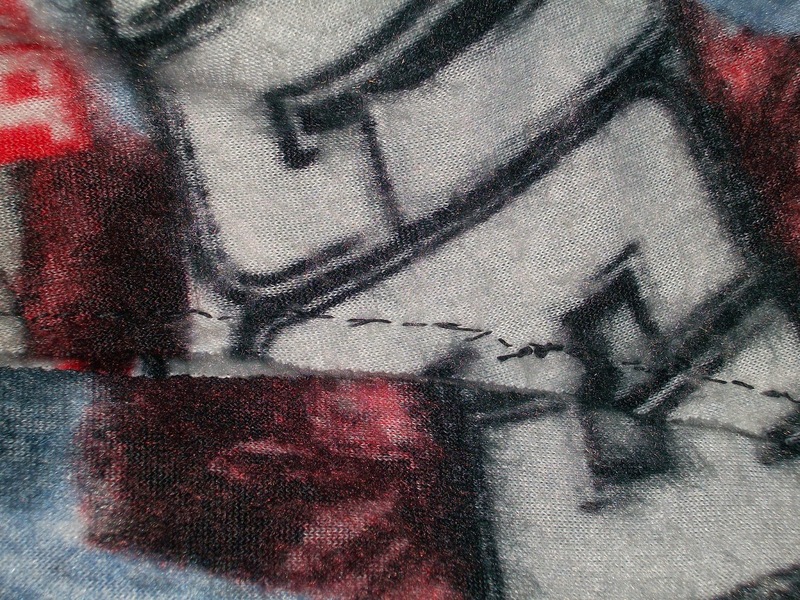 You can pin the paper to the fabric to keep the pattern from shifting while you cut. Opened leg, right side up. 3. 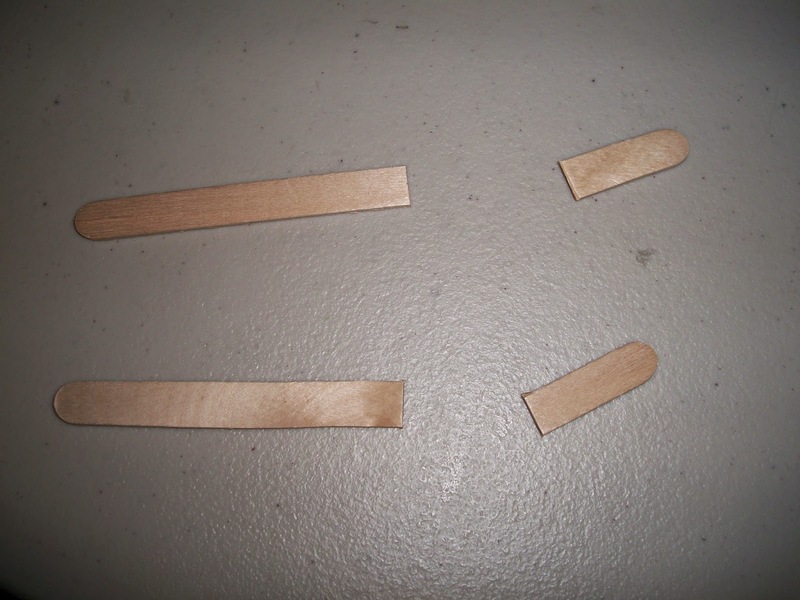 Once both legs are cut, open one of the legs and place flat right side up. Open up the second leg and place on top of the first leg facing wrong side up. 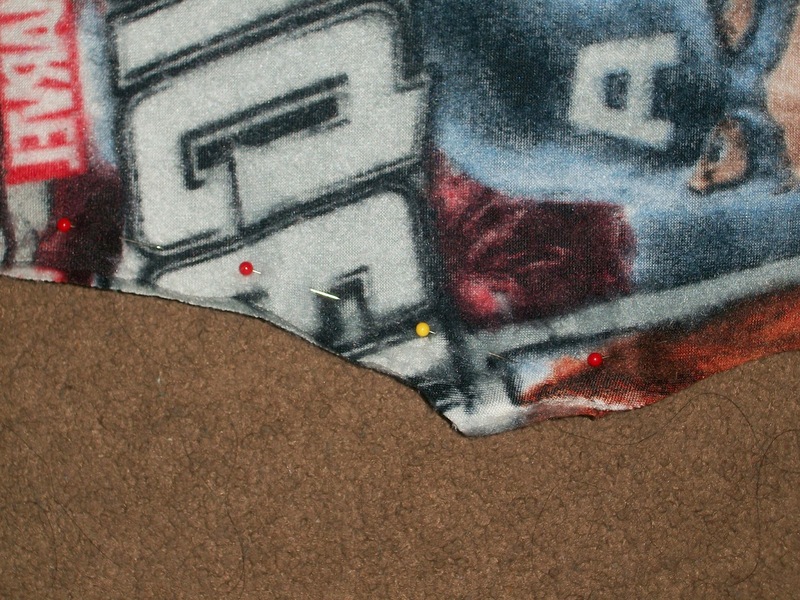 Place pins around the edges. 4. Stitch along the edges. I folded the bottom of the legs about 1 inch, pinned and stitched. I did the same for the waist, then cut two slits at the front. 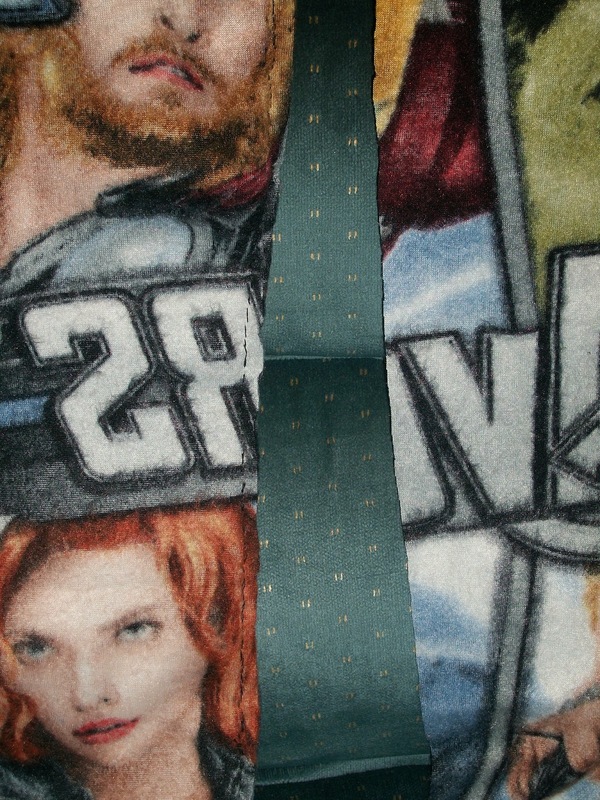 I used some stretchy cording from an old pair of sweatpants for my waist tie. 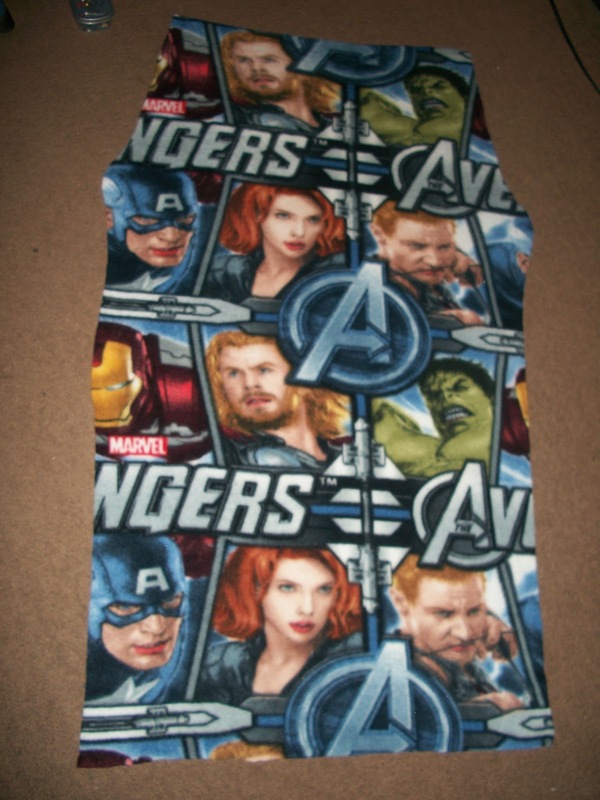 I didn't have elastic on hand, and didn't prefer a tie waist anyway. The pants turned out much, much better than I anticipated. Someday, I will learn how to use the old sewing machine a friend gave me, but these pants only took a few hours. 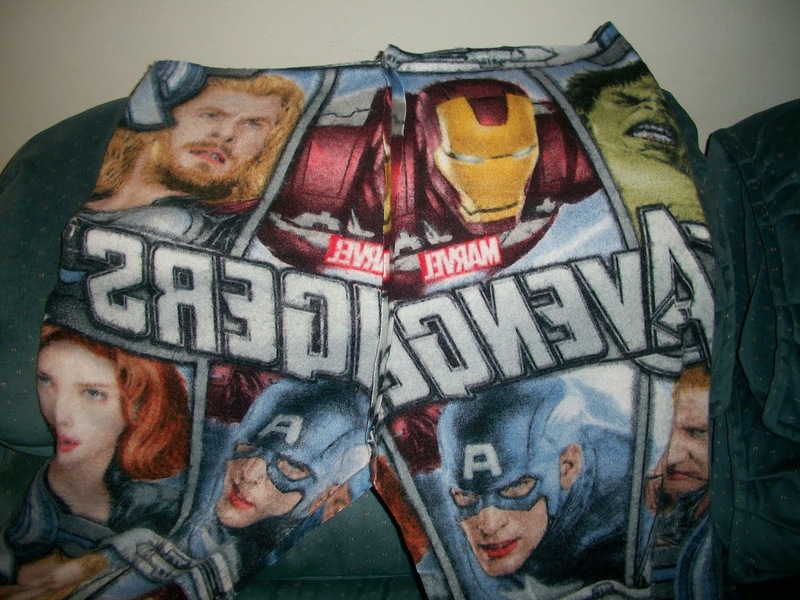 The pants may not be perfectly sewn, but they are extremely comfortable and perfect for wearing to bed. 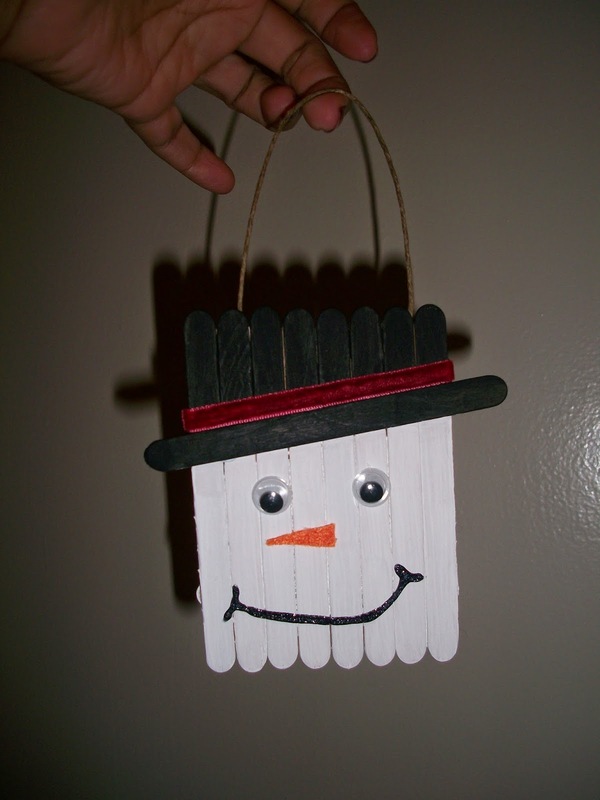 This project is proof that you don't need to have skills to make something fun and useful. 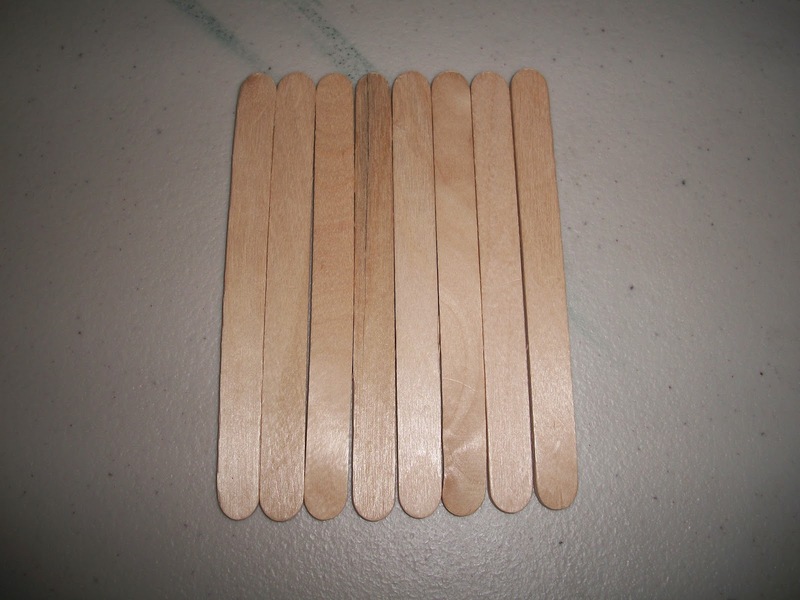 My niece wanted to make something to give to her friends for Christmas. 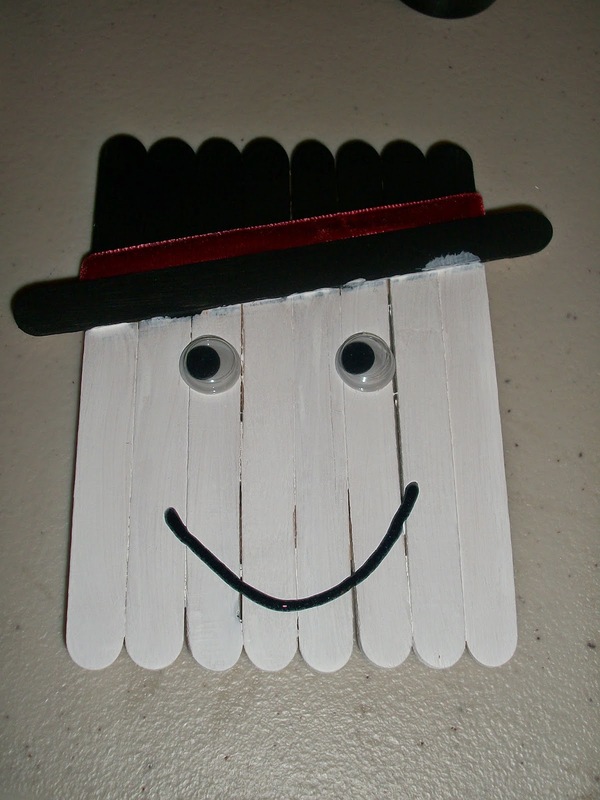 I didn't have a lot of money, but we did a Pinterest search, and found these popsicle stick Christmas crafts. 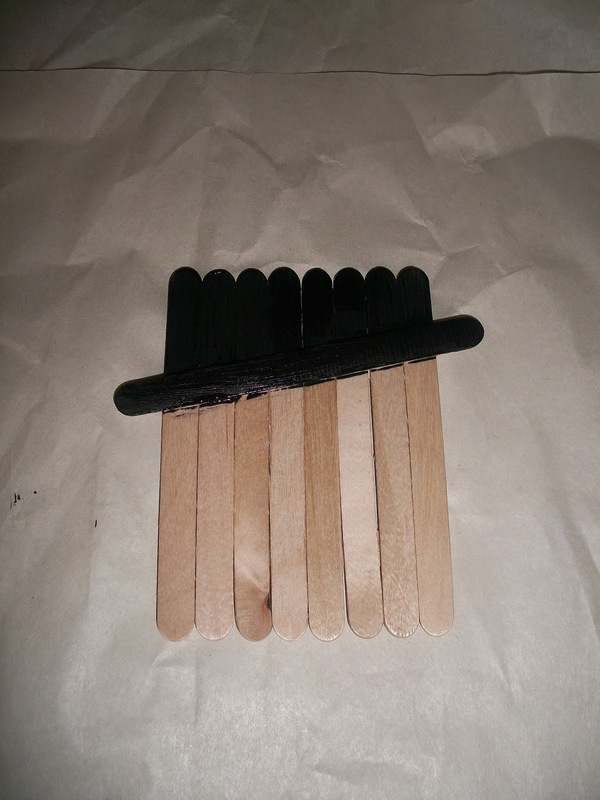 Hot glue 1 shortened stick to bottom of 8 sticks. 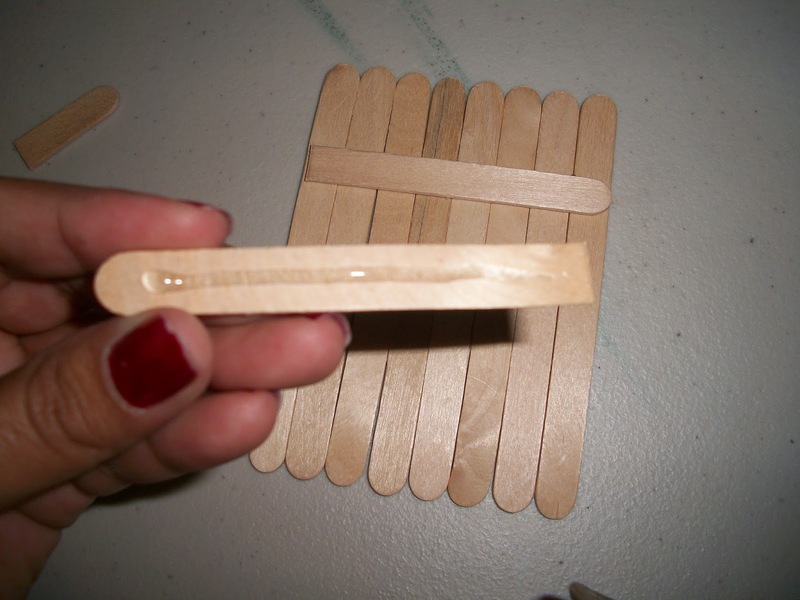 Flip the stick board right side up and glue a full-length stick across the top at an angle. This will be the brim of the snowman's hat. Then paint the hat section black. 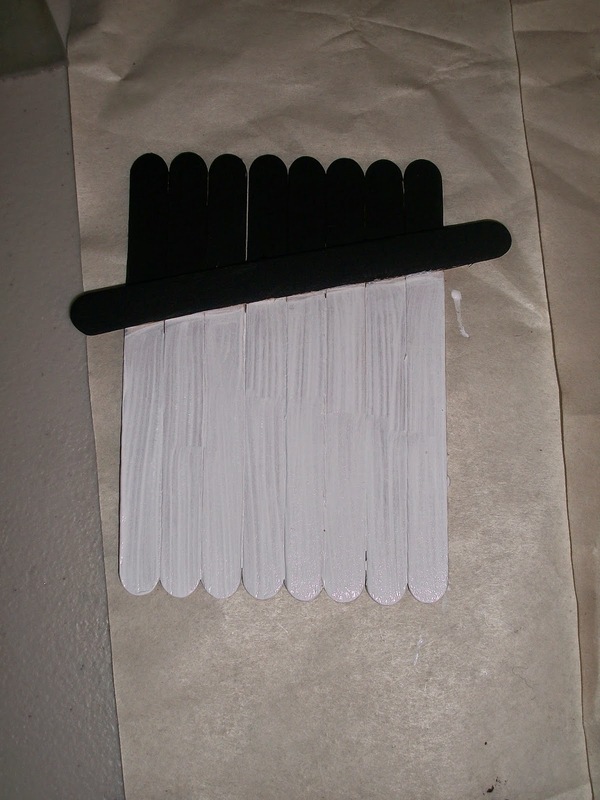 Allow to dry before painting the white section. Paint the rest white. I had to paint two coats of white paint. 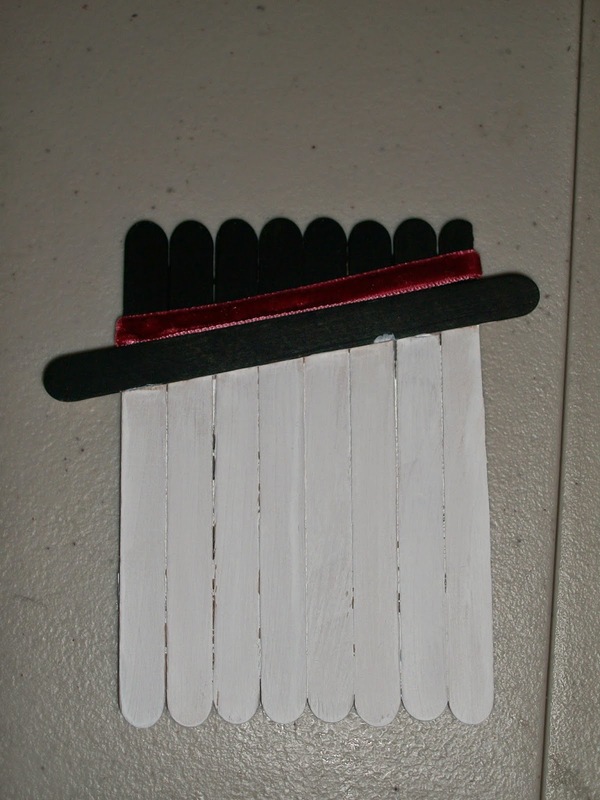 Attach ribbon with hot glue across the top edge of the hat brim. I used some red velvety ribbon. The googly eyes I used are not adhesive backed so I used hot glue to attach them. I then drew the mouth using black glitter glue. I cut small triangles with some orange felt I had on hand to make the noses. I attached these using hot glue. Cut twine to about 10 inches long. I tied knots at each end of the twine. 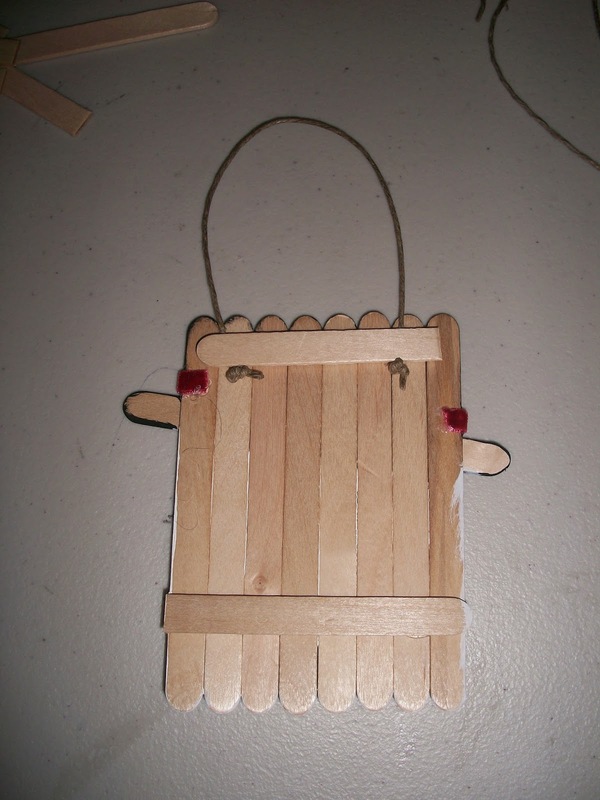 Attach the twine and a second shortened stick to the top area on the backside. Voila!! 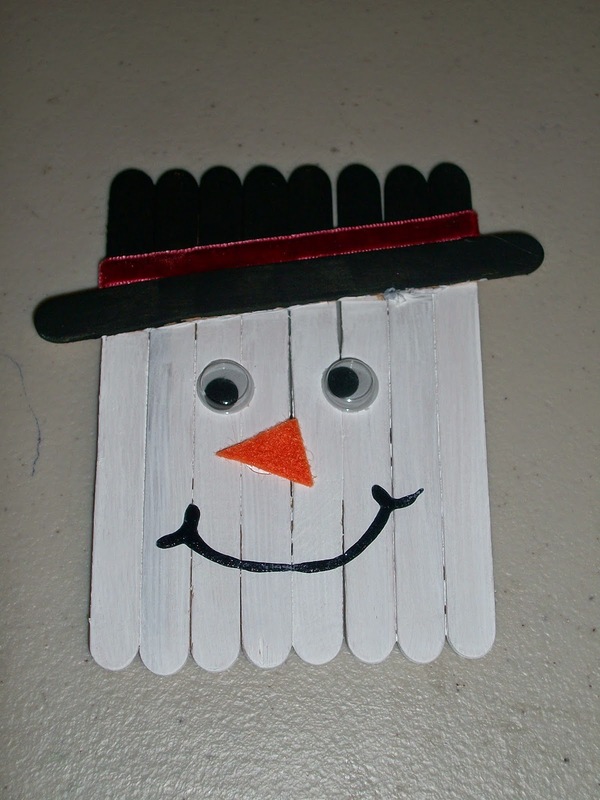 Your snowman is ready for your Christmas tree! If I had had more time, I probably would have added a coat or two of Modge Podge or sealant after painting (before attaching the other pieces). Every year, a group of friends of mine get together for a holiday party and gift exchange. There are 13 people total, and 1 of us is Jewish, so gift giving can be complicated. Most of us make our gifts for financial reasons (and we're a crafting group), and my finances are really tight this year. I made Poinsettia pins for everyone to wear, but needed something to make as gifts. I saw an idea on Pinterest for love notes in a jar for a gift for a boyfriend, girlfriend, wife, husband, etc. I decided to find inspirational, motivational and funny quotes and print them onto pretty paper (I scrapbook, so I have tons of paper on hand). I typed these onto a Word document in two columns, then I cut the quotes and rolled them into cylindrical tubes. 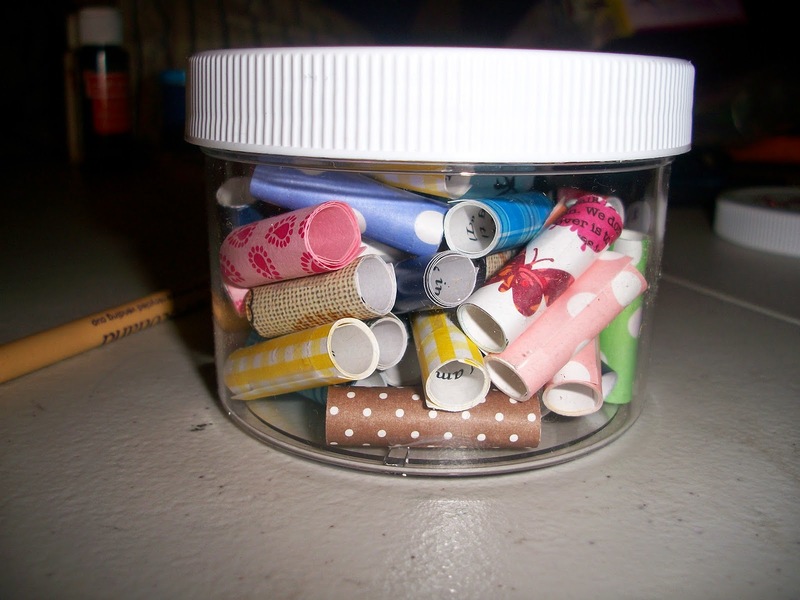 I had a dozen plastic jars leftover from last Christmas (I had ordered twice as many as I had needed for that project). 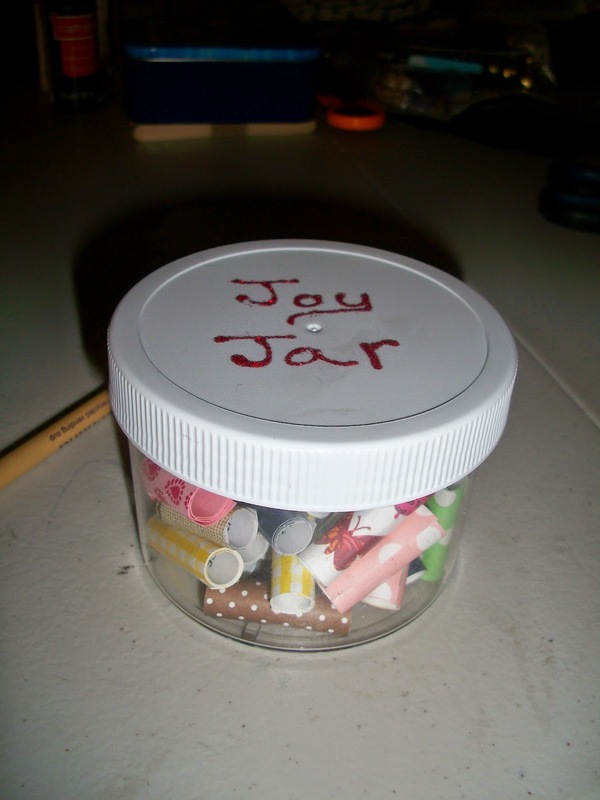 I used some Stickles in Christmas Red and wrote "Joy Jar" on the lids and set them aside to dry. I put approximately 50 quotes in each jar. The idea is when they are feeling a little down, or stressed, they could take out a quote to cheer them up. 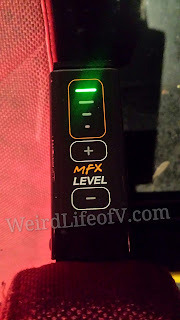 This is a quick, extremely inexpensive and thoughtful gift to give to just about everyone. If my printer wasn't out of ink, I would have used some funny memes and pictures of cute animals. 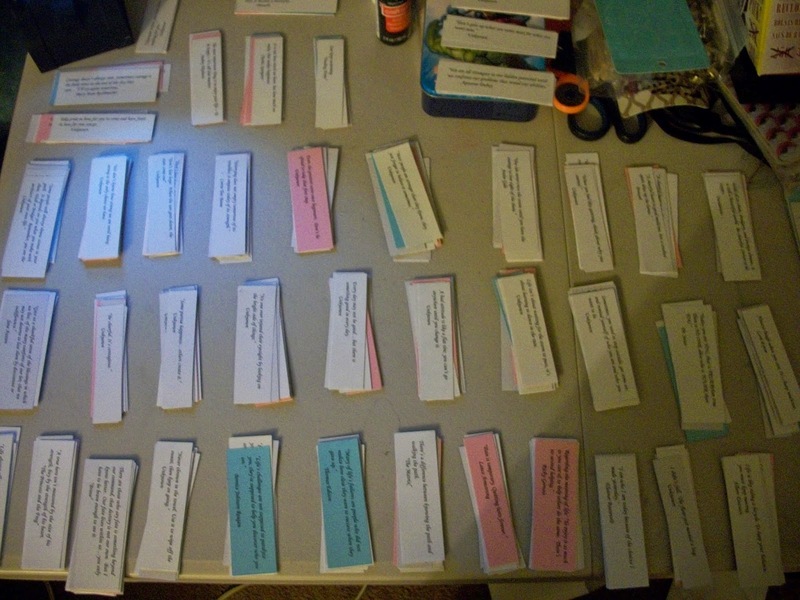 Since I had everything for this project on hand, the total cost for me (this year) was $0. 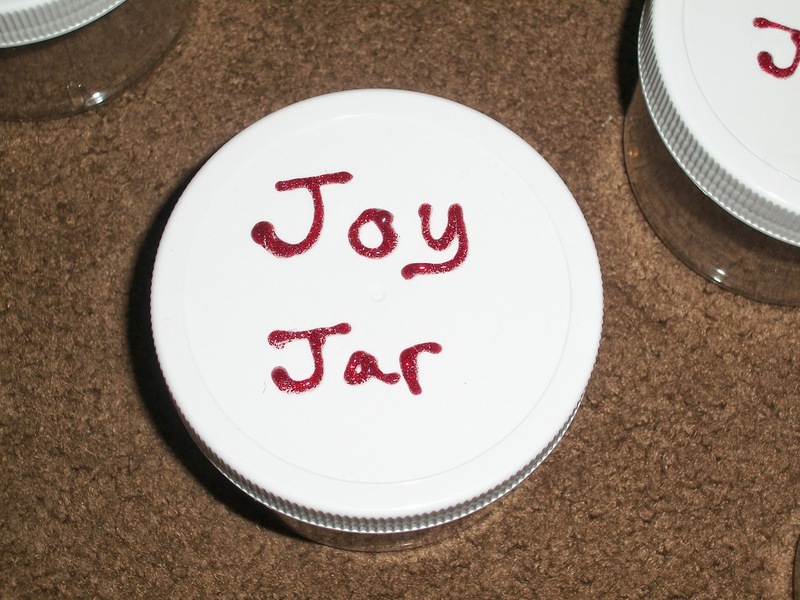 These jars were a big hit and one of my friends is "stealing" the idea to make jars for the shelter she volunteers for. I’m sure there have been many posts about this event, but I’ve only had my blog a few months so I’m going to do a post on the event anyway. I know it was disappointing to so many people that Starz and DirectTV hosted this event in Los Angeles, but I’m glad they did. It’s funny that I only found out how many of my friends from high school love "Outlander" as much as I do because of the new Starz series based on those much beloved books. I was only introduced to the books in 2004 or 2005 by a group of friends. I was going to school during that time and reading for pleasure only happened during the summer. Once I began reading the books, I read every book every summer until "An Echo in the Bone" came out. That book took me forever to get through because I just didn’t like it. I finally finished it and haven’t read any of the books since. I still love the series, and I’m hopeful about "Written in My Own Heart’s Blood," but I don’t think I could read Echo again. Anyway, I was really excited to hear about the series since I had heard that the film rights had been sold, but I never thought a movie could do the books justice. They have are too rich and a film would require removing two-thirds of the book. That’s just not acceptable. I was excited for the fan event and immediately RSVP’d once they were open. 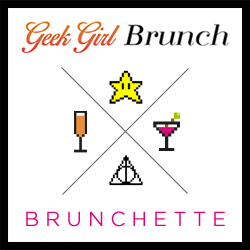 The location was changed to a larger venue, The Orpheum in Downtown Los Angeles, and they re-opened the RSVPs. The event was going to involve a panel with Diana Gabaldon (author), Ron Moore (Executive Producer), and stars Sam Heughan and Caitriona Balfe, and the panel was followed by a tea reception. I was annoyed that the organizers said no lining up early, but there was a huge line when I arrived an hour or so early. Luckily, my friends had gotten there shortly before I did. I do like that they checked us in and gave us numbers so that would save our place in line so that we could get lunch. Once they let us into the Orpheum, they had bottles of water for us for which I was grateful for because although it was January, we were having unseasonably warm temperatures in Los Angeles. My group was able to get pretty decent seats, and we were happy to sit down in air conditioning. There were two bagpipers playing prior to the Q&A panel which was nice. Once the panel started, I have to say the moderator was terrible and repeatedly called Caitriona (pronounce Katrina) Caitlyn. Someone finally corrected her, but it had been after several screw ups. This moderator also claimed to be a huge fan of the books, but didn’t seem to know anything about them and kept asking Diana really retarded questions. Who the hell compares Outlander to Twilight????!!!!! A fun tidbit from Sam is that his parents are huge Tolkien / Lord of the Rings fans and that influenced their choice of names for him and his brother. This only leads me to believe that he’s Samwise Gamgee! I admit to geeking out quite a bit at this morsel of information. When Sam first sat in the chair, he flashed the first few rows since he was wearing a kilt in true Scottish fashion. Apologies if you are reading this, but I was considerate to you in person, there was a woman on my right who got really annoyed with me because of my camera. She was trying to record video and my DSLR makes noise when it takes pictures. She asked me to turn off the sound and I replied that I can’t. She was seriously annoyed with my response as if I was lying to her. What I wanted to say was that I can’t because this is a real camera, but I was trying to be polite. Even though I was polite, there was some tension the rest of the panel. The event was on Diana's birthday and they had a birthday cake for her. There were several large vinyl posters of publicity photos of the cast and countryside of Outlander which were placed throughout the Orpheum giving the guests ample options for photo ops. The food during the tea reception was fantastic, though they ran out of tea pretty early on. The food kept coming, though, and it was great. When we left, they handed each of us a “Pocket Jamie” which was a small standee of Sam Heughan as Jamie Fraser. You can purchase an official Pocket Jamie and other official merchandise in the Outlander Store. Here is a fan made DIY Pocket Jamie which you can download and print on your own printer here. I can’t wait for the rest of the season 1 to air on Starz in April, 2015.